Of course my family decorates for St. Patrick's Day. Would you have expected anything less? Happy St. Patrick's Day! I'm too far in my cups* to write a full post today, so I thought I'd share the recipe for an Irish Coffee in honor of the man who drove the snakes out of Ireland. Was he actually actually a Parselmouth? 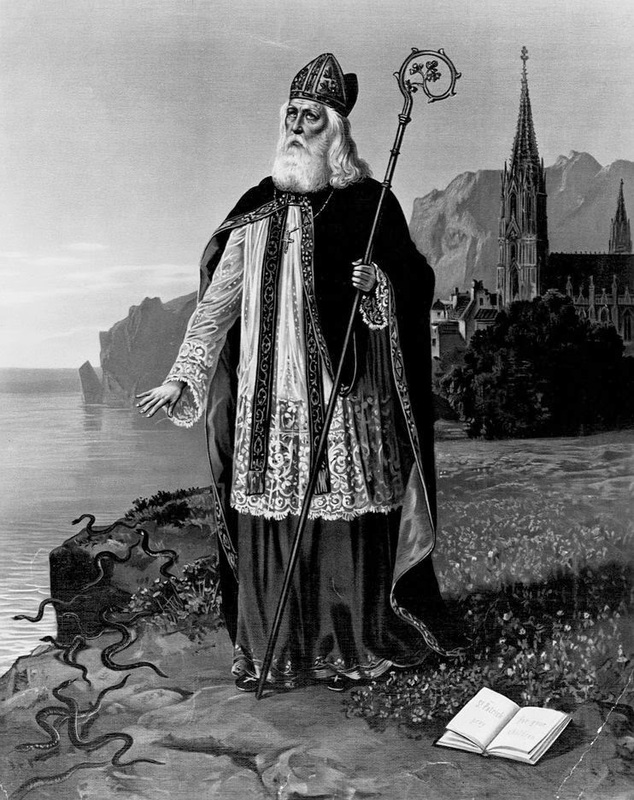 Were there ever any snakes in Ireland to begin with? Who knows. The one thing I do know is this cocktail is DELICIOUS. If you look closely, you'll notice my coffee is in this same style glass! It's the official one used and sold by the cafe. This recipe comes from the Buena Vista Cafe here in San Francisco. 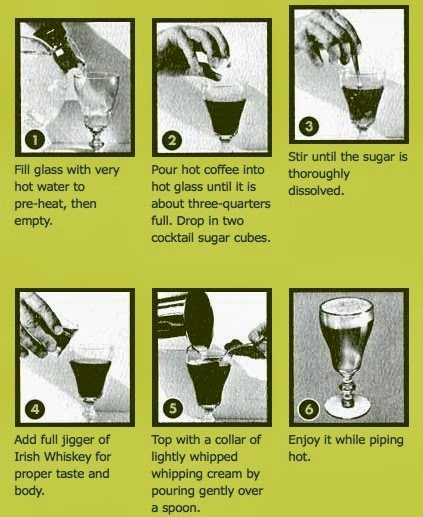 It was perfected in 1952 in an effort to recreate a drink the owner had enjoyed over in Ireland's Shannon Airport. You can read the whole story here. *OK. Not really. I am, however, too busy cooking.